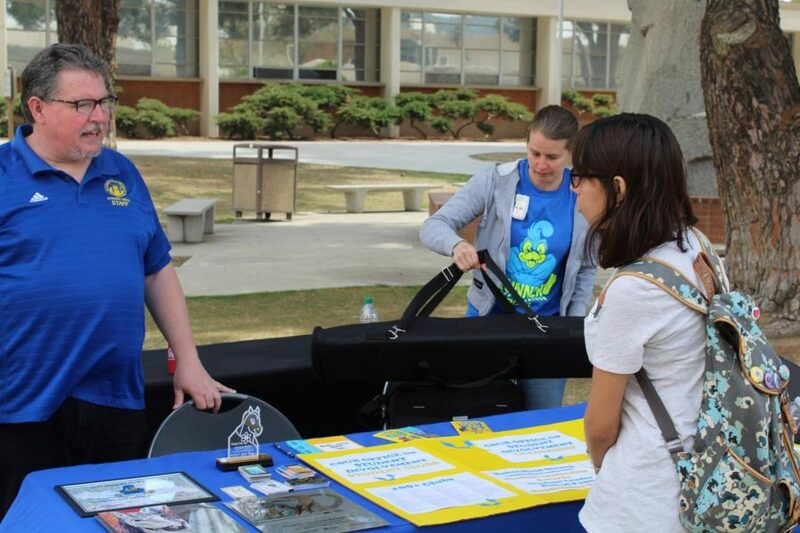 Ed Webb talks to a student about clubs at CSUB. 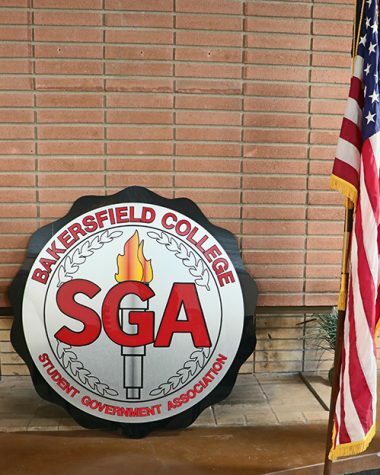 Students gathered around the Fireside Room on April 11 during the California State University Bakersfield (CSUB) Blue and Gold event. The event was held to help Bakersfield College students transfer to CSUB. According to Natasha Harris, who works at the CSUB transfer center, there were, “Different support systems,” such as financial aid, councilors, 22 CSUB departments and six clubs and admissions. Harris said it was the transfer center that provided the free food to whoever had a ticket. Veronica Bethea-Amey, from admissions and records, was there admitting students on the spot. She admitted people with upper division credits, English, speech, Logic or Critical Thinking, 2.0 GPA and math above algebra. She admitted roughly 15 students. Diana Hernandez, an ambassador for 15 to Finish, and April King, an advisor were there informing students about their group. 15 to Finish is a group that aims to help students take 15 units every semester or 30 for a full year to finish their time at the university within two years. The group’s aim is for transfer students but it also recognizes two and four year grads. King said the group offers 30 scholarships. Students talking to booth administrators outside the Quad. Ed Webb from the Office of Student Involvement was there to talk about the various clubs that are on campus because he oversees them all. Andrew Razo, a former CSUB student and current BC student, talked about the Campus Gamers club. Razo said the club is one of the most active groups on campus. He said they do more than video games such as events. One event that Webb mentioned was the Extra Life event. Extra Life is a charity event similar to a fun run. It is a group event and one must raise a certain amount of money to be able to participate. The Children’s Medical Center presented Extra Life the Corporate Partner of the Year Award after raising $147,000.